Chuir mi cùrsa Memrise air dòigh airson ACDD, an dòchas gum bi e feumail don chuid a tha ùr gu leughadh anns a’ Ghàidhlig. 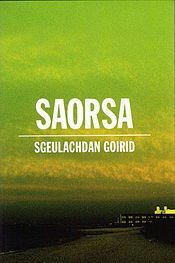 Bha mi a’ smaoineachadh, bu dòcha, gun dèanadh daoine an cùrsa mus tòisicheadh iad air an leabhar, agus mar sin, bhiodh am briathrachas aca mar thà agus bhiodh an leughadh na bu thlachdmhor mar thoradh. Cha bhiodh aca ri smaoineachadh mu dheidhinn: bhiodh e na bu nàdarra agus na bu choltaich ri leughadh anns a’ Bheurla mar sin. Sin an dòchas agam co-dhiù. Bidh mi fhìn a’ cleachadh Memrise gus an Spàinnis agam a leudachadh agus tha e ag obair sgoinneil math dhomh. ’S e geamachadh no gamification de dh’ionnsachadh a th’ ann, agus tha eileamaid de fharpais agus de lìonraidh sòisealta ann cuideachd, ach cha leig sibh leas pàirt a ghabhail anns an taobh sin, ach ma thogas sibh. Mholainn gu mòr e. Bhiodh ùidh agam ann am beachdan ma dheidhinn. 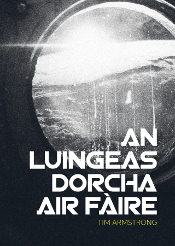 Tha mi direach (duilich – tha mi gun sracan air an inneal seo) aig caibideil 1.7, agus tha a ag obrachadh dhomhsa. Tha e gu math brosnachail ri leughadh – moran taing ’son an obair chruaidh a chuir thu ann. 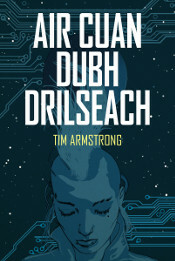 A Thiom, seall air http://www.librarything.com/topic/97476 – tha sinn a’ bruidhinn mu dheidhinn ACDD, agus tha beachdan ùra ann. Seall bho mu teachdaireachd 41.